The trick to selling people on your brand is to be different in a way that is highly relevant to your audience. Different in a way that creates competitive advantage. Advantage that is, over time, as sustainable as possible. All of which is to say–it’s not easy. Strong products and services are highly differentiated from all other products and services. It’s that simple. It’s that difficult. Never has a sentence about marketing received more head nods and less true understanding than the one above. It’s a statement that has always been an accepted part of marketing lore, and one that became fact when Young & Rubicam actually spent the money, built their “Brand Asset Valuator,” and proved it. Relevant differentiation was found to be a leading indicator. (Any idiot can be different. The tricky part is to be different in a way that is relevant to your audience.) Traditional measures such as knowledge and esteem were found to be lagging indicators. These lagging indicators (the ones we seem to spend so much time and money tracking) degrade slowly and can be artificially maintained through marketing expenditure or price discounting. Thus, by the time they start to fall off, you might already be in a ton of trouble. I’ve always found it fascinating that the consumer packaged goods industry is so full of B-word job titles: Brand directors, brand managers, brand assistants, etc. At the end of each year a lot of very smart brand people get their report cards. Revenues, cases, market share, profitability, distribution–the list is long and comprehensive. But the most important measures are usually nowhere to be found: Is your product or service differentiated in a way that is meaningful to your audience? And did that difference increase or decrease? Brands are built by intelligent and creative marketing. Marketing is all about positioning. Positioning is all about differentiation. Track that differentiation and you’re able to track the creation and evolution of your brand. But don’t stop there. You should also track specific outcomes. For example, track the premium that people are willing to pay for your product over a generic product, and use the resulting data as a proxy for brand strength. Find an appropriate way, any appropriate way, to measure brand strength and use it–along with all the other business measures. An accurate and trended measure of differentiation can be a great tool (see Y&R about their Brand Asset Valuator), but simple measurement and accountability count most in the end. When I was at Kellogg’s (pre-Brand Asset Valuator, and so long ago it hurts), we simply measured the value of our brands by comparing them to house brand equivalents. The difference in perceived value was measured once a year and then tracked. We were less interested in the absolute difference than we were in the trend. An upward trend meant good brand stewardship, while a downward trend meant poor brand stewardship and the need for intervention. It really is that simple. Without a doubt, it all starts with difference–but there are many ways to be different. In fact, any idiot can be different. You’re playing the game to win. To win, you need to be better than everyone else who is also playing to win. Generally, we marketers get this fact. We’re very prepared to play to win, but we’re not so prepared to be truly different. Why? Let’s blame the system. Most of us grew up with similar names, dressed in similar clothes, went to similar schools. We “manage” our differences lest our peers find us strange. We make fun of the odd ones. We fit in. 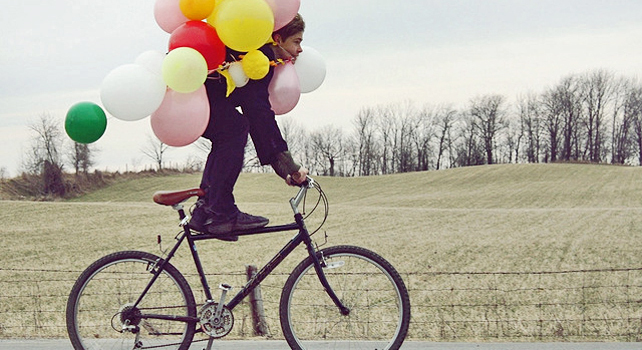 This is why most of our highly differentiated brands were created by oddball entrepreneurs. They grew up different. They thought different. They were different. And therefore they created highly differentiated products and services. But I digress. This is about advantage as much as it is about difference. If you look at Batman, he’s different because he actually went out and built his own powers. He’s a self-made superhero. But does anyone care? Turns out that kids do, in fact, care. As a result, the Batman brand can position itself through differentiated advantage. Apple is different because of its elegant design fusion of software and hardware. Bill Gates didn’t think people would care enough about this to overcome a superior business model. He saw it as a profound disadvantage, in fact, and he was almost completely correct–but Steve Jobs took that “almost” and ran with it. More recently, some have questioned whether, in a cloud-based content world, anyone would care about elegantly designed devices. But play with an iPad, then with a Kindle Fire–you’ll care. Apple is different. Apple is better. Apple has differentiated advantage. It’s great that Dyson carpet cleaners (and now heaters) are different, but they are designed in a way that is both different and better. It’s nice that Virgin Airlines wanted to create a unique flying experience, but it succeeded because that experience was markedly better than that offered by traditional airlines. Hybrids were clearly a different kind of car, but until Prius designed a better kind of car, that difference was without meaning. In the eyes of your customers, better but not different can still win the race, but it’ll be a hard-fought race every inch of the way. Different in a way that your customers don’t perceive as better won’t take you very far. 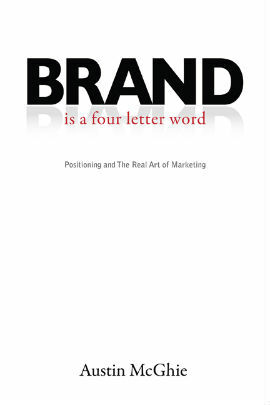 Excerpted from Brand is a Four Letter Word by Austin McGhie. Copyright 2012 Advantage Media Group.